Today's Coupons - Expire in 13 hours. 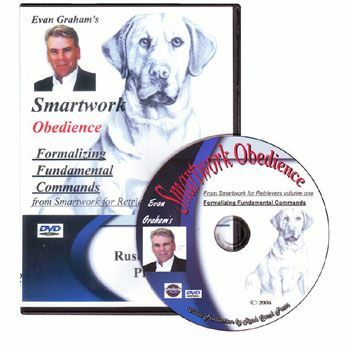 Evan Graham developed the Smartwork Series of dog training techniques over 30 years ago. In the Smartwork Obedience DVD you will learn the essential techniques for teaching your dog obedience. The graphically illustrated DVD will effectively cover restraint, follow-up, heel, sit and kennel, helping you to formalize the fundamental obedience commands.